We love our electronics, and we’re not ashamed to admit it. While humans once survived without smartphones, GPS, streaming media, and the Internet, we’ve adapted to the digital conveniences of our lives, and frankly, these days it’s hard to imagine life without them. While we study new products, analyze features, and even argue over which brands we like best, one need remains constant across all devices: electricity. Now that may sound obvious, but when you stop to think about it, most of us take access to electricity for granted. The closest most of us get to experiencing no electricity is being stuck somewhere with a dying phone battery and no charger. Stop and consider for a moment what would actually happen without power. The inconvenience of losing access to your social media feed would soon be eclipsed by the realization that you had no lights at night and your food was warming up in your refrigerator. With the general reliability of our infrastructure, losing power for any extended period of time seems unlikely, but it’s certainly not an impossibility. While some people, often known as “preppers,” like to prepare themselves and their families for a multitude of doomsday scenarios, most of us don’t have that option. Whether prohibited by time, expense, or the lack of physical space in our homes, it’s not easy to stay prepared for the worst. When it comes to electricity, preparation typically means a gas generator. For a generator to function during a crisis, you need space to operate it and an ample supply of fuel that hasn’t gone stale. This just isn’t practical for most homes. 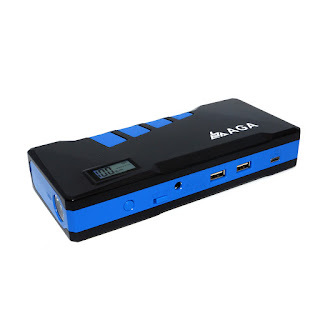 AGA looks to change that with the PB79200 Lithium Portable Power Station. With the increasing capabilities of Lithium Ion batteries, manufacturers have continued to push the capabilities of technology forward. Fully electric cars that don’t use a drop of fossil fuel have moved from the realm of wishful thinking to actual consumer products in remarkable time. The PB79200 has the capabilities to viably replace a traditional gasoline powered inverter generator without the hassle, noise, fumes, and upkeep of a fossil fuel burner. 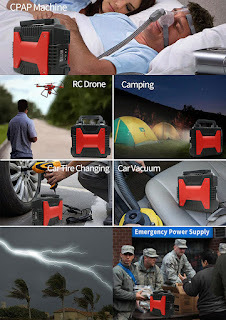 This truly changes the game for anyone who wants to stay prepared but can’t house or maintain a traditional generator. For example, you might live in an apartment without adequate space to safely operate a gas generator. Also, the silent operation, emission free operation makes the PB79200 a viable option for hunting, camping, or other outdoor activities. The PB79200 improves or enables portable power in many scenarios where a gas generator would prove inconvenient or impossible. Let’s explore it in detail to see if it’s a great fit for you. Inside the box, the AGA PB79200 comes with the unit itself, two wall chargers and the welcome inclusion of a rolling cart. At 22.8*19.6*9.6cm, the PB isn’t particularly large. In fact, it’s about the size of a small cooler. However, batteries weigh a lot. The PB weighs 68.6 pounds, so while we could lift it, we certainly wouldn’t want to carry it long distances. We found the cart felt sturdy with durable all-terrain wheels. AGA could have made the cart a separate purchase, but we were glad to find it included. We found an informative info screen as well as a host of convenient output ports. First, the included AC pure sine wave inverter provides two standard outlets with 120 volts AC. These are rated at 12.5A and capable of 150 watts with a 300-watt surge. With only two AC outlets, we definitely recommend purchasing a quality power strip or surge protector to permanently store with the PB. It would be frustrating to prepare for disaster, have a highly capable power unit, then find yourself unable to connect all the devices you needed. 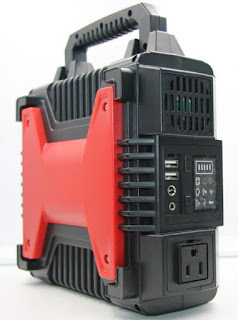 Aside from the AC outlets, AGA also thought to include a 12-volt DC auto output port, 12 volt 6 millimeter DC output, a 12 volt Power Pole output port, and four USB charging ports ports. 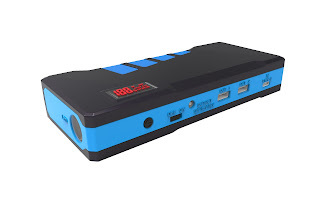 The 12 volt outputs can handle up to 10 amps, while the USB chargers are 5-volt DC and regulated up to 2.4 amps. 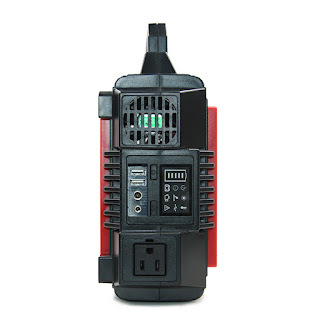 Since phones provide critical communication and information during a crisis, it’s great to have the ability to charge so many simultaneously without tying up AC outlets. As with any battery powered device, the PB79200 must receive a charge. This represents the primary disadvantage compared to gas generators. 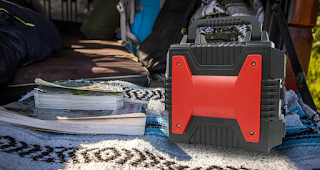 While a gas generator can remain in storage and instantly run as long as you have access to reliable fuel, the PB has to stay plugged in to a power source constantly. If you do experience an outage, the PB can only run until its batteries drain. As a result, while the PB provides great short-term emergency power, you may need to look elsewhere if you anticipate extended usage or very high power draw. 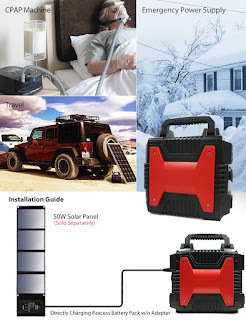 AGA helps overcome this weakness with the option of connecting their Boulder solar panels for charging. Solar charging, surprisingly, isn’t slower than wall charging. With the two AC adapters, the PB79200 takes 25 hours to receive a full charge. While certainly dependent on reliable sunlight, the solar option turns a weakness of the PB into a strength. If you’re camping, off-grid, or experiencing an extended power outage, you may not be able to rely on adequate fuel sources. Your long-running gas guzzler turns into a giant hunk of scrap as soon as the gas runs out, while the PB can charge again and again from the infinite power of the sun. Since most people don’t think about power draw in terms of watt hours, AGA provides a useful reference guide. 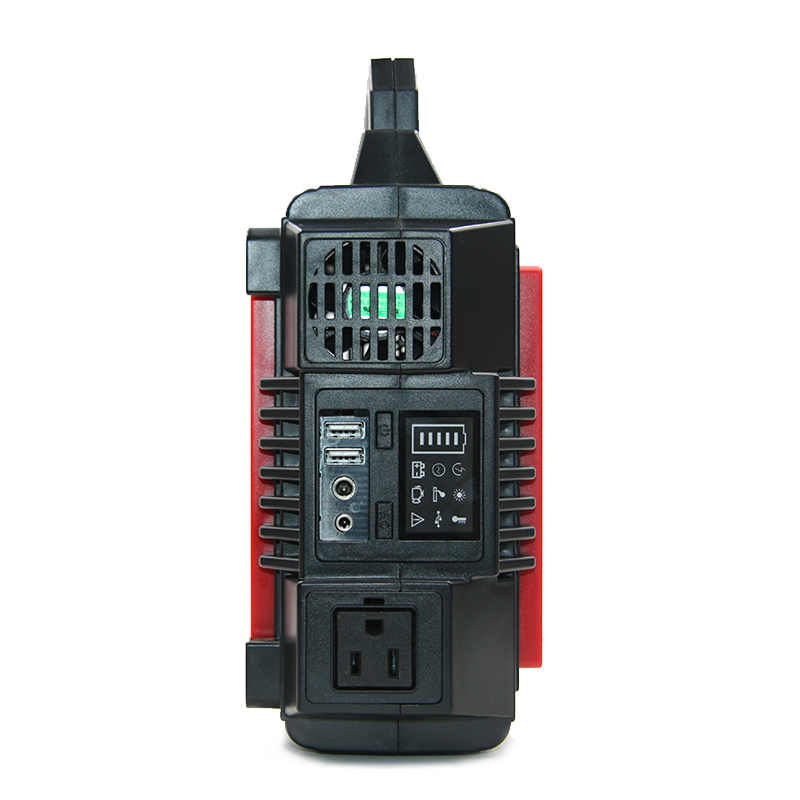 ThePB79200 provides approximately 150+ smartphone charges, 50+ laptop charges, and can even run a mini fridge for over 50 hours. While these numbers may not match the capabilities of larger gas units, they are viable for maintaining a host of electronics especially when combined with the solar panels. Given the lack of moving parts, the PB79200 requires nearly no regular maintenance. AGA advises leaving the unit plugged into the wall chargers at all times. Smart circuitry prevents any overcharging risk present with much older battery powered devices. 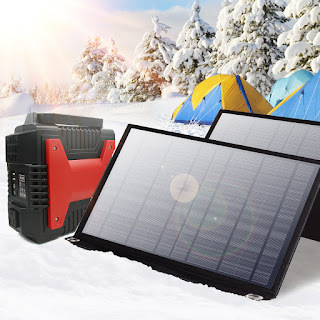 If you do keep the PB79200 off-grid, they recommend charging every 3 months as almost all battery powered devices will lose charge even without any power draw. It is important to note that you don’t merely risk a low battery by failing to charge. AGA states that failing to maintain a regular charge can result in battery damage and void the product warranty. Battery life for lithium cells is rated in charge cycles, and the PB79200 should handle 500 complete cycles before dropping to 80 percent capacity. While the oil changes and other maintenance necessary on a gas generator aren’t relevant, you should always stay aware of proper lithium battery safety. While the battery unit is user replaceable, the individual cells are housed inside a protective enclosure. Lithium cells are extremely volatile and any attempt to breach the secure enclosure could result in explosion or fire. 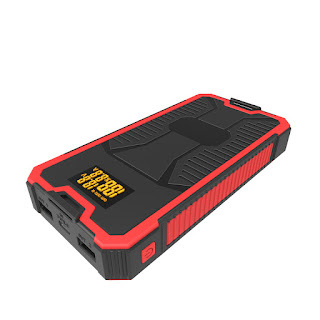 Likewise, you do need to ensure the battery doesn’t get wet as moisture can compromise the protective elements. Battery properties do change in extreme temperatures, and AGA has rated the PB79200 for operation between 32 and 104 degrees Fahrenheit. While this range covers most scenarios, it does unfortunately exclude it from extreme hot or cold conditions. AGA does provide an interesting tip for extremely cold climates. In below freezing temperatures, place the PB79200 inside an insulated cooler. 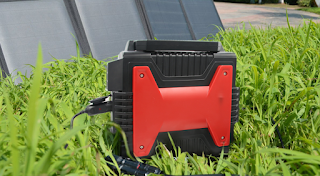 If you connect to a power source, either wall or solar, the PB will naturally produce heat on its own as the batteries charge. The cooler will trap the heat and keep the unit at a better temperature. 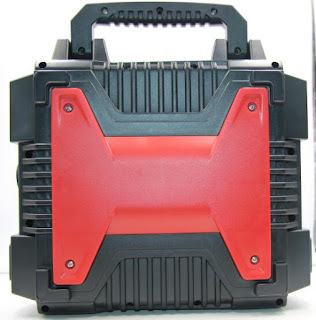 While a battery powered portable power source may not be the right option for every scenario, the AGA PB79200 provides countless options and flexibility to anyone who can’t use a gas generator. Other manufacturers may have battery power stations, but the massive 300 watt hours of the PB79200 raise the capabilities of this device to the level that it can compete with a smaller sized gas generator. Adding the optional solar panels really puts the PB into a class of its own. 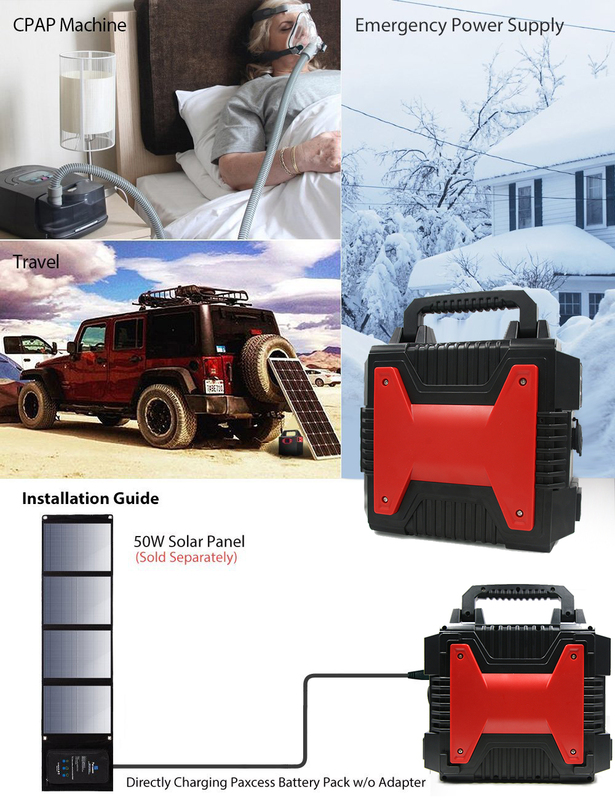 Instead of merely an emergency power source, you could maintain reliable power indefinitely even completely off-grid. With Solar Panel Briefcase, as long as you had reliable sunlight you could easily run a mini fridge, efficient lights in the evening, and maintain charge on multiple devices without ever running out of power. We found the PB79200 easily handled multiple phones, tablet, a few lights, and a television we plugged in. The display panel was informative as it displayed our power draw and remaining battery life. The generous 150 watt maximum and 300 watt peak easily handled our power tools as well. While it does represent a significant investment for the average family, the ability to keep some semblance of life as usual in the face of a power outage could prove invaluable. 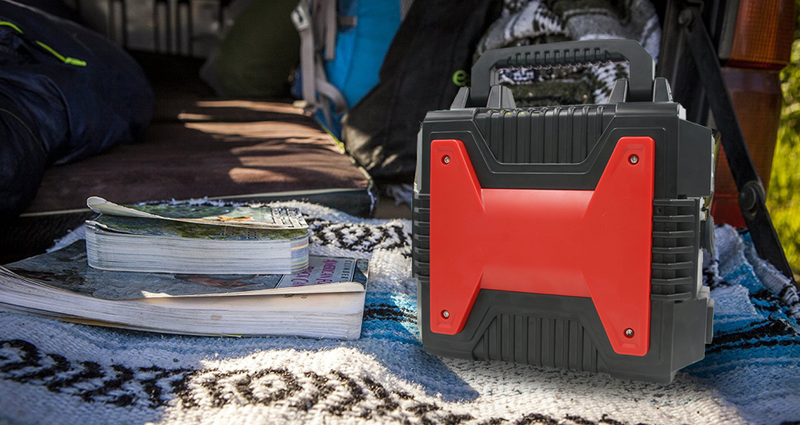 Aside from disaster relief, the PB79200 brings tremendous off-grid power capabilities for scientific gear or camping without needing to completely “rough it” gadget free. The AGA PB79200 Lithium portable power station provides tremendous power in a convenient noise and emission-free package. As battery capacities continue to grow and sizes shrink, we’ll definitely have an eye on further evolution of the PB product line.